Hardware startups are on the rise. Sure, it’s tougher to produce than software, but when a team is done, there’s something tangible that can be put on a table, mounted on a wall or shoved in a pocket. At Hax’s HAXLR8R fifth demo day in San Francisco, 10 teams shared their hardware products. From robots (because there are always robots) to tools that’ll help other teams build hardware (like robots). Out of the lot, we found five intriguing pieces of hardware that could potentially be the next big thing. Or at least, worthy of your money, if or when they launch. Remember Polaroid instant cameras? The cameras would spit out prints of photos right on the spot like magic. While Polaroid has focused on other types of cameras in recent years, the idea of having a device that instantly prints photos still rears its head every few years. This year’s device is the Prynt. 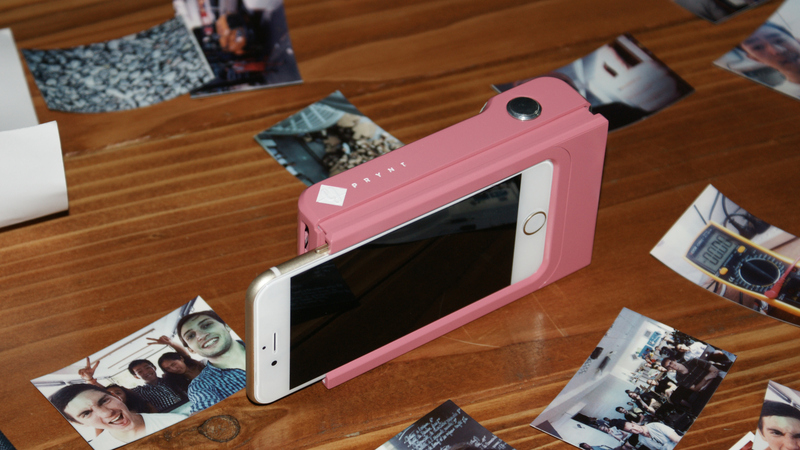 The smartphone case (available for Android devices and iPhones) uses Zink zero-ink paper. The colors are in the paper itself so it removes the need to replace ink cartridges. Photos are printed in about 20 seconds. Prynt says it will sell 10 packs of paper for $3 which means each print will cost you about $.30. The hardware itself will set you back about $129 with a Kickstarter campaign launching in January and the case shipping in the summer of 2015. Robots are cool. 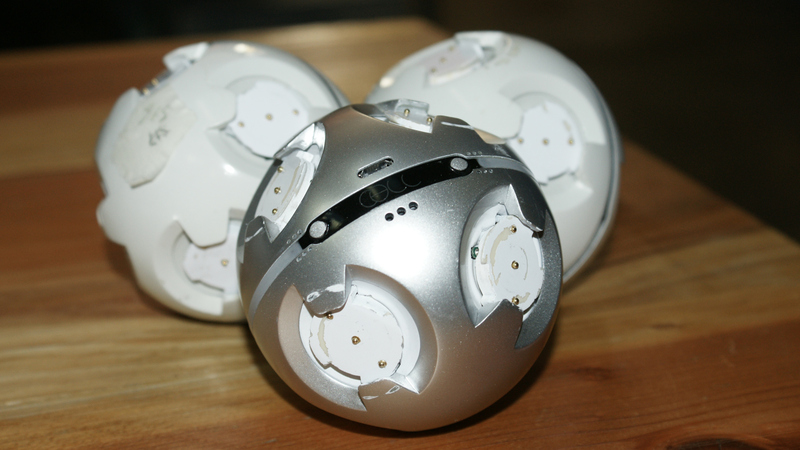 Robots made of balls that can be attached to each other and can be controlled with an iPhone are extra cool. The Cell Robot is exactly that. When it hits the market, a starter kit will ship with five balls including that the team calls, the heart ball. This ball has the battery and wireless connection antennas to control attached balls. When built the companion mobile app can control individual balls or the entire structure as one unit. The team also talked about more robust balls called X Cells, with useful components like a Wi-Fi camera and wheels The Cell Robot is launching on Kickstarter in December and the five ball kit is expected to cost $200. If you want to create a product you’re going to need to get circuit boards printed. That usually means waiting weeks for a third party to print your design. 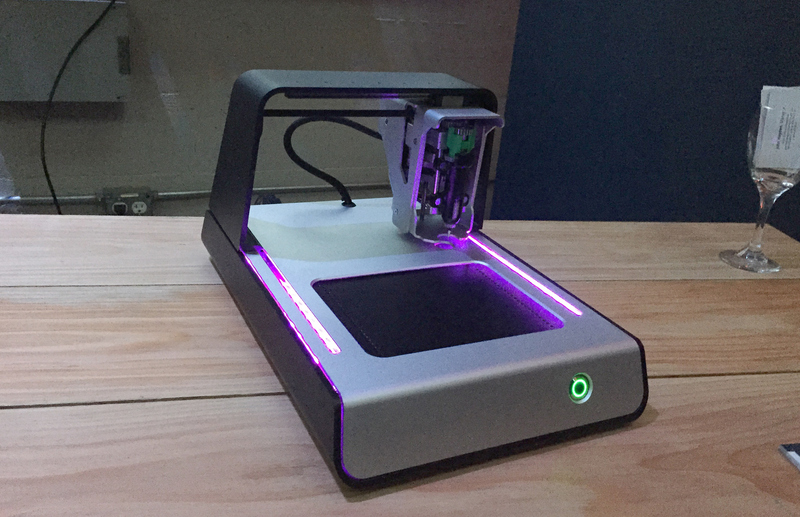 The Voltera team wants to cut down on that prototyping time and remove the middle man all together by selling a circuit board printer directly to developers. Instead of weeks, a board can be printed in hours using a silver conductive ink. All the user has to do is create the board in their application of choice and print it out. The printer even supports multi-layer surfaces. The Voltera even has a 550 watt reflow oven spot so you don’t have to hand-solder anything. The Voltera printer will ship in early 2015 for $1499. Maybe you haven’t heard, but the air pollution in China is bad. The Clarity team won’t directly fix the problem, but for anyone concerned about their health, the Clarity wearable could mean the difference between breathing easy and coughing. The Clarity wearable can be strapped to your bag and measure air particles when you’re out and about. It measures air quality, humidity and temperature. The companion app will not only alert you when the surrounding air is a smog-filled soup, but also connects to a crowd-sourced map of the surrounding area with information about the air quality around you. The aggregated information can be shared with local governments to help them determine how to fix trouble spots. The Clarity team assured me that the shared data will not have individual information. But, in order to achieve that mapping, an area the size of San francisco (approximately 50 square miles) would require 1,000 users. 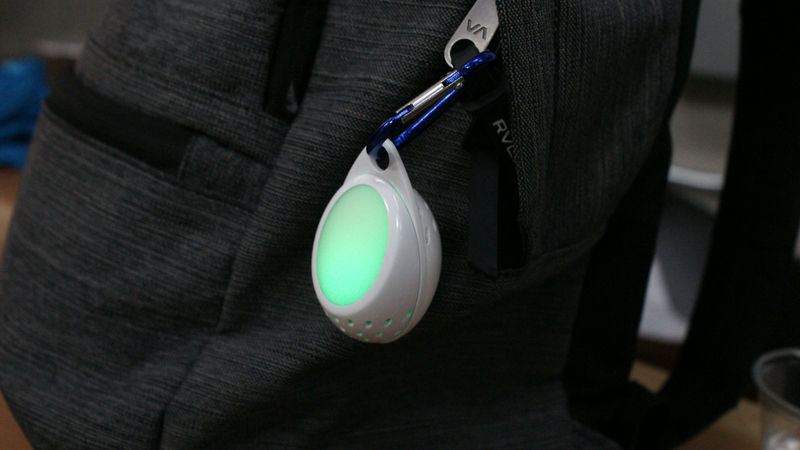 Still, it’s a pretty slick device for alerting you when maybe it’s time to put a face mask on. The Clarity will launch in China in May next year.